Download their app today and get a coupon for a free ham sandwich. Get Honey Baked Ham Coupons When You Sign Up For their Emails. 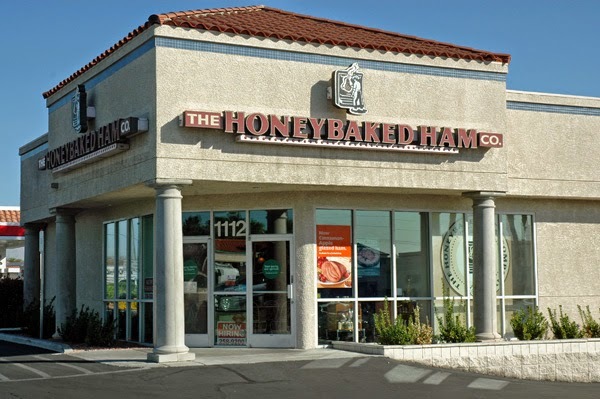 - Honey Baked Ham Store Locations. In Store: Includes bone in half ham, two sides, pie or premium cake. Get $5 off a medium signature meat and cheese tray or $10 off a large tray. Printable Coupon: Choose any two 1/2 sandwich, 1/2 salad, or cup of soupon for only $7.99..
- $5 off a medium meat and cheese tray. Spend $100 at honey baked ham stores and get $15 Off. - $5 Off A Large Signature Meat & Cheese Tray. Includes sandwich chips and drink. print coupon for a $3 discount on any bone-in half ham, boneless half ham, or quarter ham. Save $7 on bone in half ham or boneless ham. Get a ham classic sandwich for only $2.99. Get $3 off ham and turkey packs with this coupon. Print coupon for $3 off any quarter or boneless ham. With purchase of ham and cheese tray. Print coupon to receive a free drink with the purchase of a salad or sandwich. Their ham goes through a 20 hour baking and smoking process and leaves a mouth-watering sweet and crunchy taste. For those of you haven't tried, believe me you'll be back for more.. premium quality ham.